The aggressive action some businesses are taking against those who post negative reviews online about their product or service is having a chilling effect on some posters who fear being sued, observers say. "It's a tremendous issue. We're running into that all over. It's cheap to threaten and expensive to defend," said Paul Alan Levy, a lawyer who specializes in free speech issues related to the internet for the Washington, D.C.- based Public Citizen Litigation Group. "So yes, many people become very quiet when they're faced with the realistic possibility that they're going to have to defend against a libel claim even if what they said is true. Because it's all very well to defend, but if it costs $10,000 to defend a true comment, well you're out $10,000. How much is it worth?" "Certainly businesses are counting on the fear reaction," Levy said. How trustworthy are online reviews? Levy acknowledged that some reviewers do post comments out of spite, and that there should be a way for businesses to deal with them, but that a balance needs to be struck. Online review sites like Google, Yelp, TripAdvisor can have a profound impact on business, meaning companies are becoming much more proactive about who is talking about them. Tom Keenan, a cybersecurity expert and professor at the University of Calgary, said this chilling effect is analogous to the so-called patent trolls in the U.S. who write to companies accusing them of infringing on a patent, hoping the company will pay them to go away. Companies are using the "same mentality ... [to] send out these letters hoping to browbeat people and in most cases... the people take their reviews down," said Keenan, who writes about the topic of his new book, Technocreep: The Surrender of Privacy and the Capitalization of Intimacy. With few people familiar with the laws of defamation or libel, some reviewers will quickly retract or take down a comment when they've received a threatening letter from a company. But Kevin Carter, a spokesman for TripAdvisor, said they will only remove a review if it fails to meet their guidelines, not because a business or individual doesn’t agree with it. "It is completely against the spirit and policies of our site for any business owner to attempt to bully or intimidate reviewers who have had a negative experience," Carter said. "And when we are made aware of an issue, we address the issue with the business or individual. Instances of a member being sued are few and far between." CBC's Go Public just highlighted a case in which an Ottawa student deleted the negative reviews she posted against CLV Group, a company that managed the building she lived in, after she received legal pressure from the company. 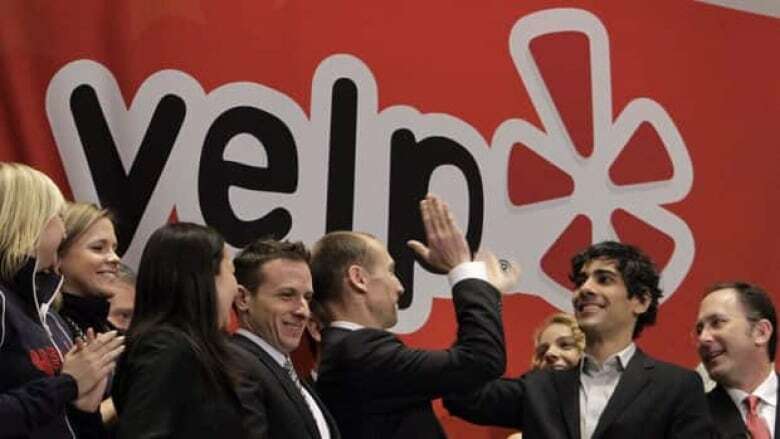 "Litigation is not a good substitute for customer service,' said Aaron Schur, Yelp's senior director of litigation. "Businesses that try to sue their customers into silence often end up wasting their own time and money and usually bring additional, unwanted attention to the original criticism." Nancy Peterson, co-founder and president of HomeStars, an online forum which gathers reviews on home improvement experiences, said they have developed an internal "bully' warning for companies who are harassing reviewers about their reviews. "If a review is removed by the homeowner, 90 per cent of the cases or more it's going to be because the homeowner is scared, has been threatened to take down the review." Peterson said they will send companies notes and warnings, which can impact their ranking on HomeStars' website. HomeStars also works with the Toronto-based law firm Aluvion Law, which has created some videos for reviewers on how to write negative reviews. "We did a few informational videos about when you are going to write a negative review, what are some of the things to watch for," said Monica Goyal, a principal at Aluvion Law. "What are some tips so when you write the negative review, you can mitigate against somebody suing you for libel." Most importantly, she said, "you want to stick to the truth. Don't veer from things that are provable...[We] go through examples where people might use inflammatory type of language or use exaggerated language. You want to stay away from that. Your review should be objective and factual."